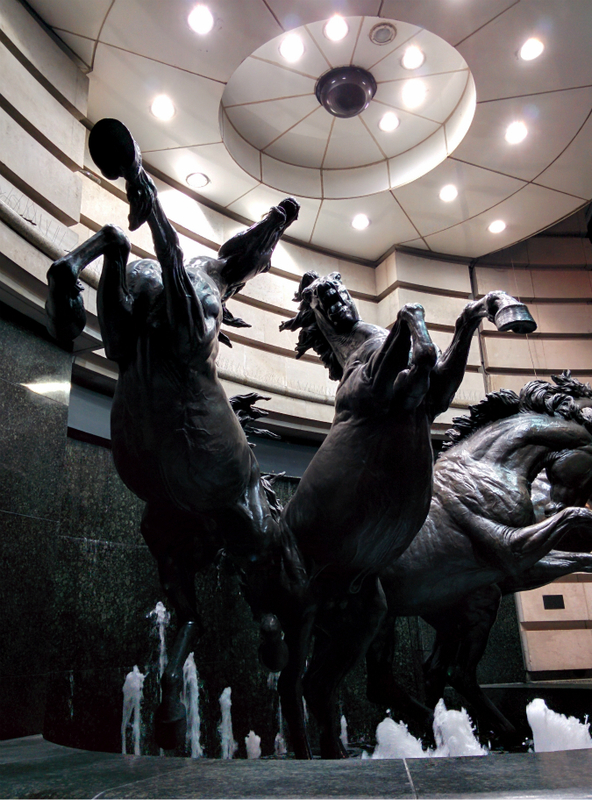 This image of the Horses of Helios, a fountain near Piccadilly Circus in central London, was taken at night using a smartphone (Nexus 5), and the limitations, hopefully not entirely that of the owner, become apparent. It is not a great picture to start with, but I wanted to see if I could play with it to make it slightly better. For (2), I used Snapseed to turn the picture monochrome, and the tilt-shift effect diagonally to blur the lights. For images (3) and (4), different colour filters were applied, using Aviary and Photoshop Express respectively. (5) is the result of layering the two images (3) and (4) using Photo Editor (dev.macgyver) and touched up with Snapseed. In the run-up to Halloween, Google+ Photos created an option to Halloweenify chosen images. This effect best worked with human faces, and some images were turned into gif clips, while others remained static images. 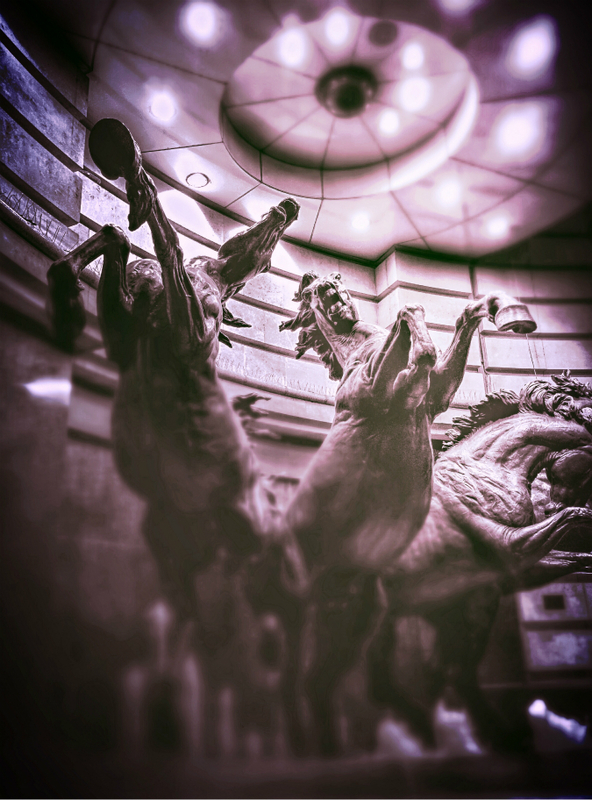 This is an example of a gif created by the Halloweenify effect, based on (4).